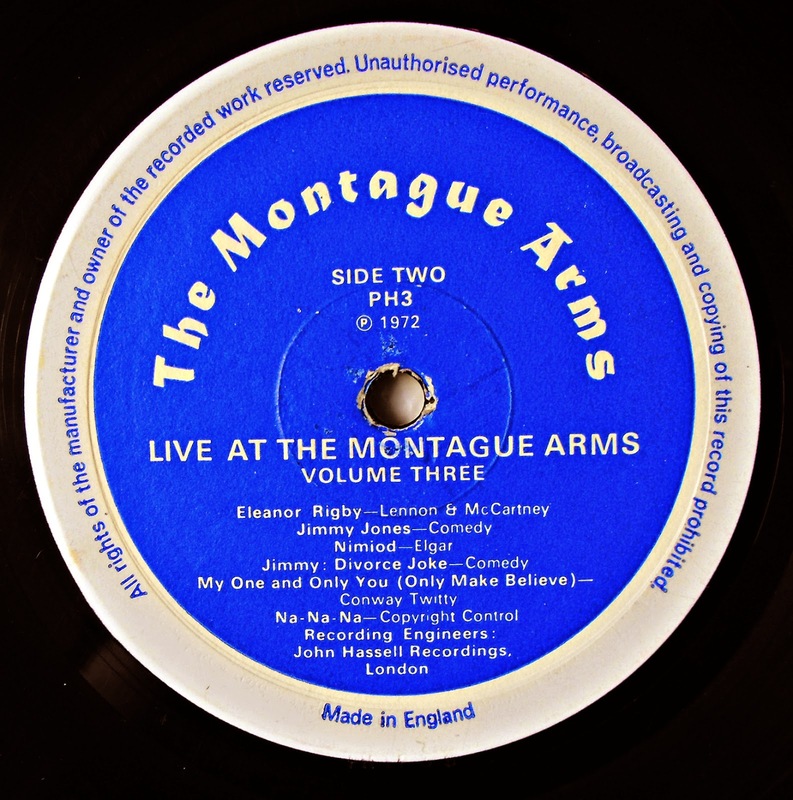 When the Montague Arms (289 Queens Road SE15) closed in late 2011, many people feared it was gone for good. Stan and Bet, who had been working there for many years, had passed away, and the famous contents of the pub had been put up for sale Today though the pub is going strong having been 'resteamed, rebooted, repunked' as it says outside - it remains a good music venue with a different but equally idiosyncratic style. 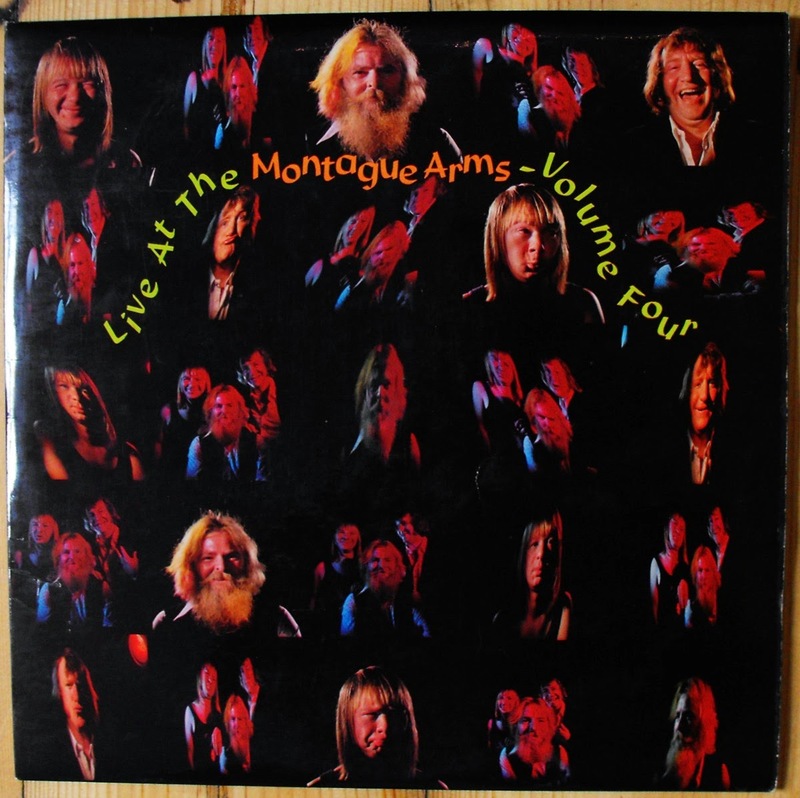 Meanwhile the memories of its previous incarnation live on, not least in a series of remarkable albums put out in the 1970s. Thanks to my friend David W. who has found copies of them in various SE London charity shops. 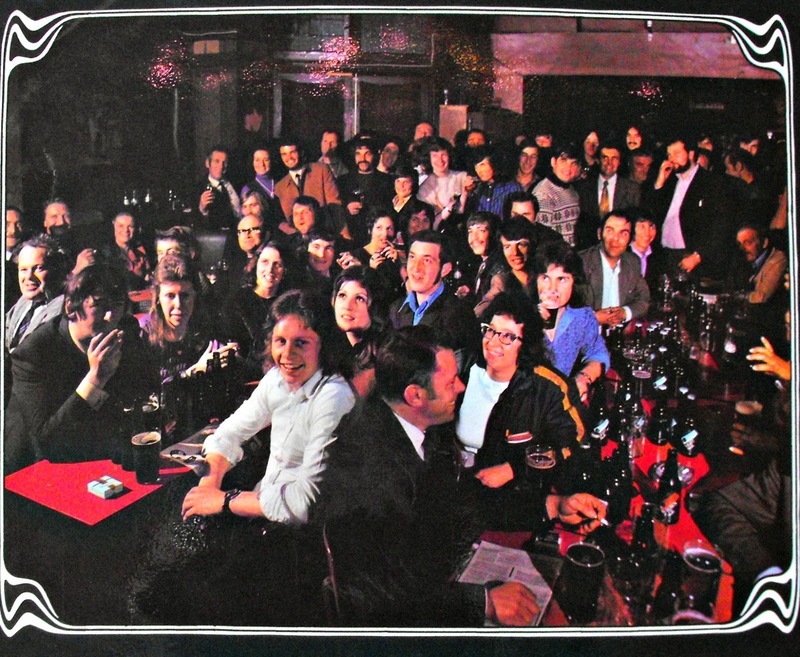 A sleevenote on the back of this first album by Peter Latham, BBC presenter, says 'New Cross may not be within the sound of Bow Bells, but you can certainly find more than a touch of Cockney in its pubs. 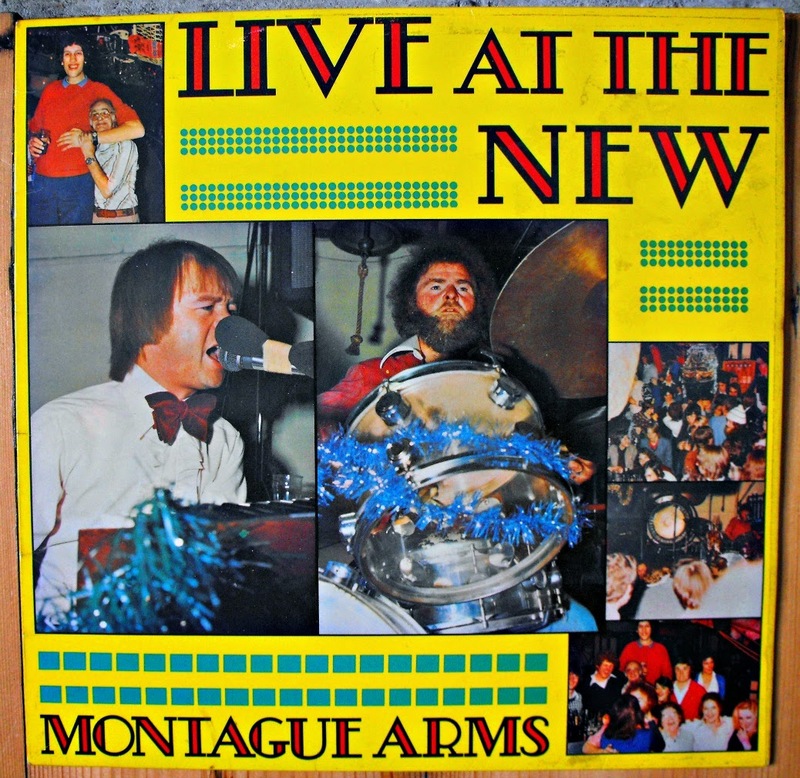 The Montague Arms, featured on this record, is not only in New Cross, its also vibrantly alive... the 'Mont' has the secret of making you forget the drab day's grind, the dismal weather and the disastrous news'. 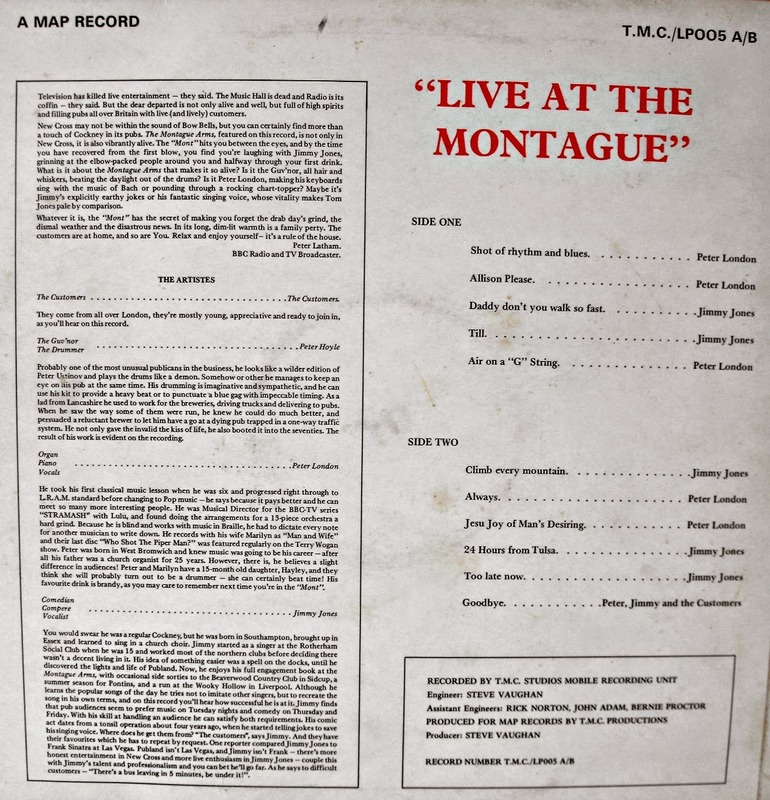 On this and the next three albums the two Petes are also joined by comedian/compere/singer Jimmy Jones. 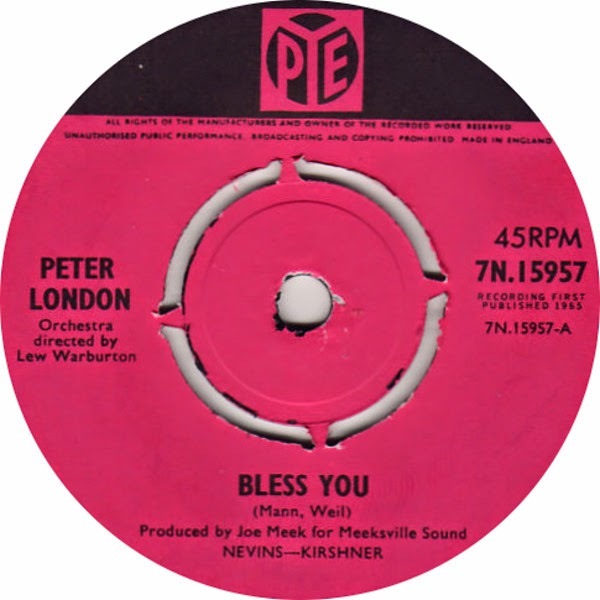 More great cover versions, with Peter London now adding a moog to his keyboards. 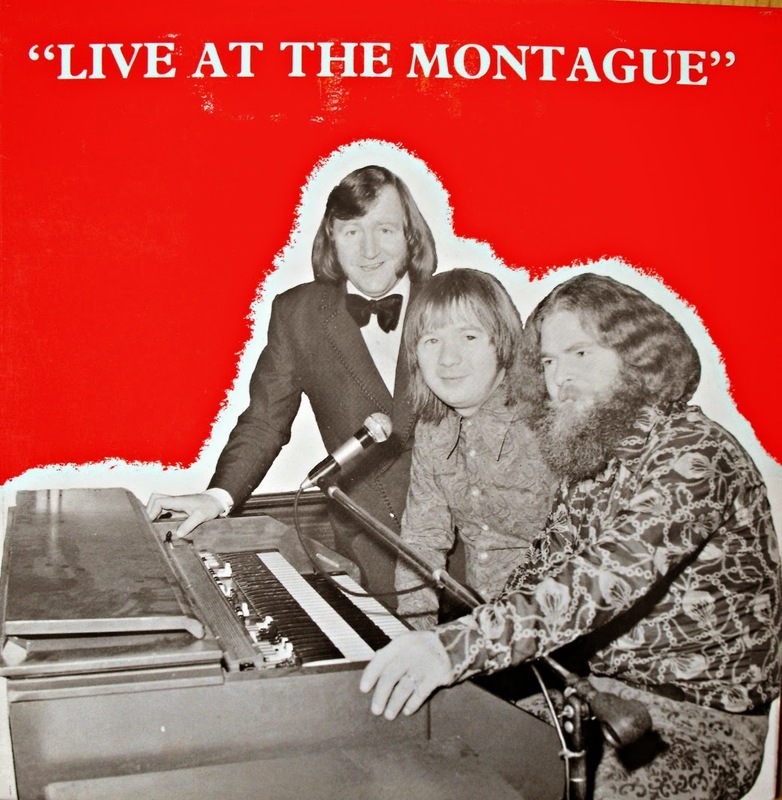 Songs include The Beatles 'A Day in the Life' and Gilbert O'Sullivan's Alone Again Naturally. 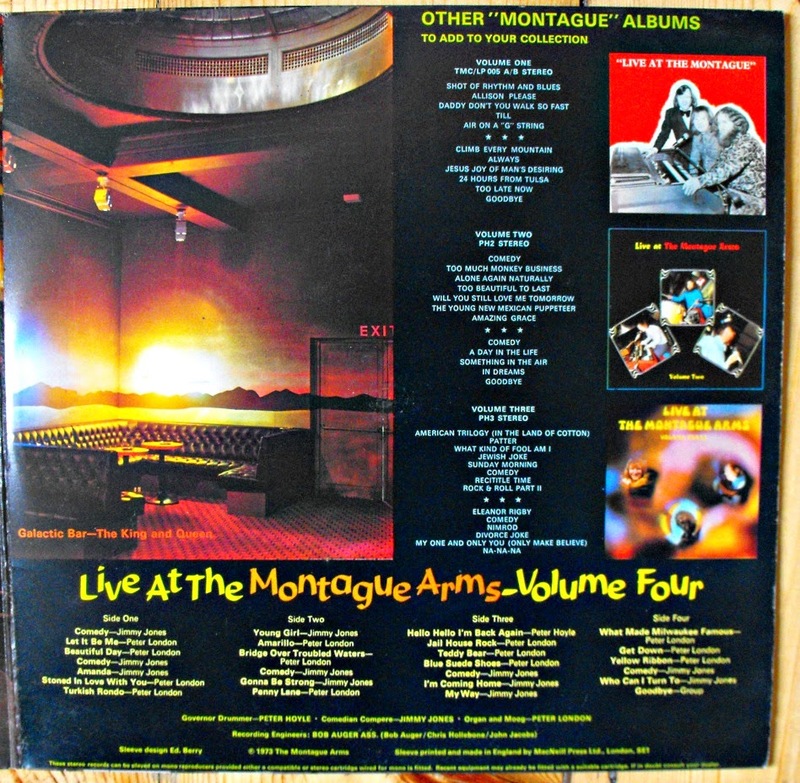 I haven't got the sleeve of Volume Three, only the vinyl (anyone help me?). Another diverse offering - Eleanor Rigby rubs up against Elgar's Nimrod and Jimmy Jones' comedy routines. 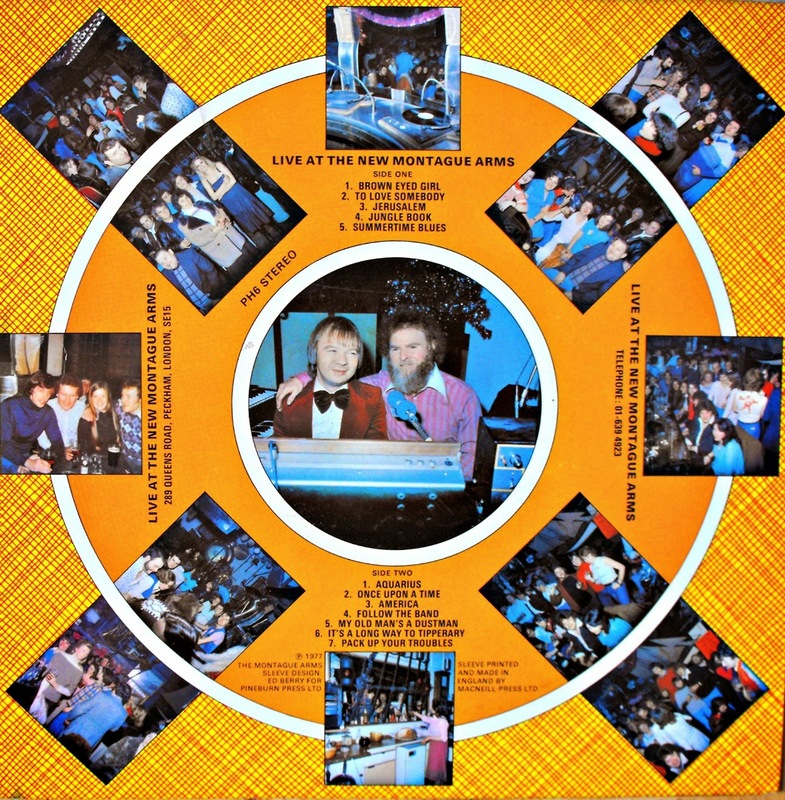 Note that the recording engineers are listed as John Hassell Recordings. 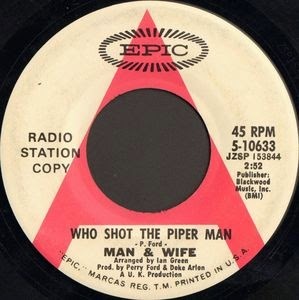 The Barnes-based Hassell assisted many people to self-release records and is now justly celebrated for his role in pressing dub-plates for the UK reggae scene. 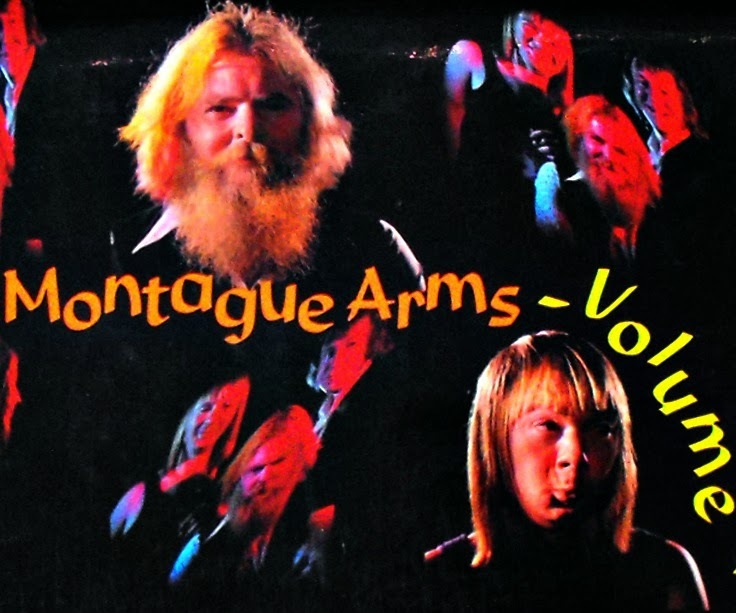 The semi-psychedelic cover art stands out on this one. 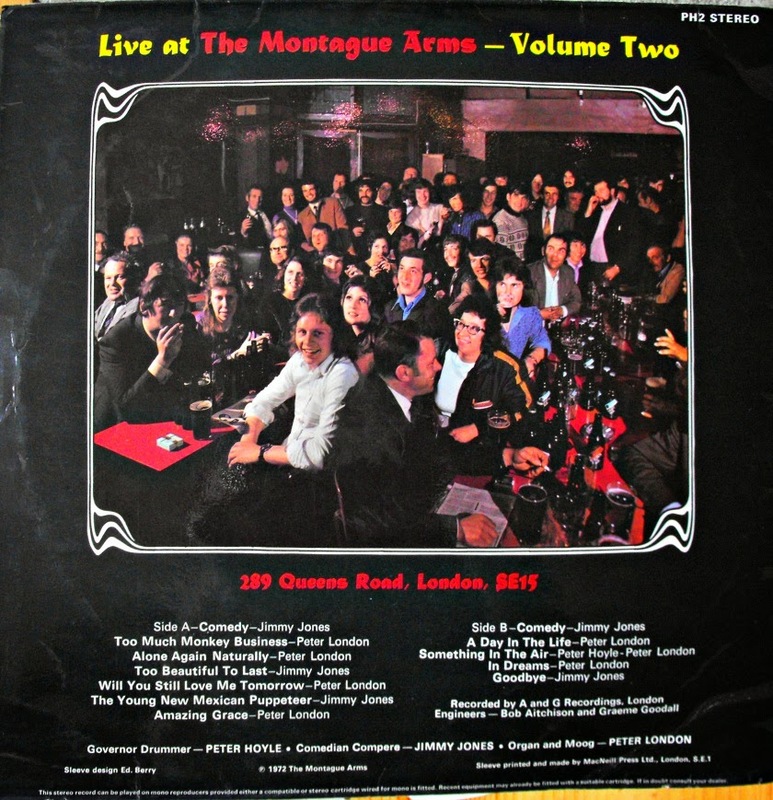 Recording engineer this time is Bob Auger, who worked as sound engineer with The Kinks, The Animals and many more. 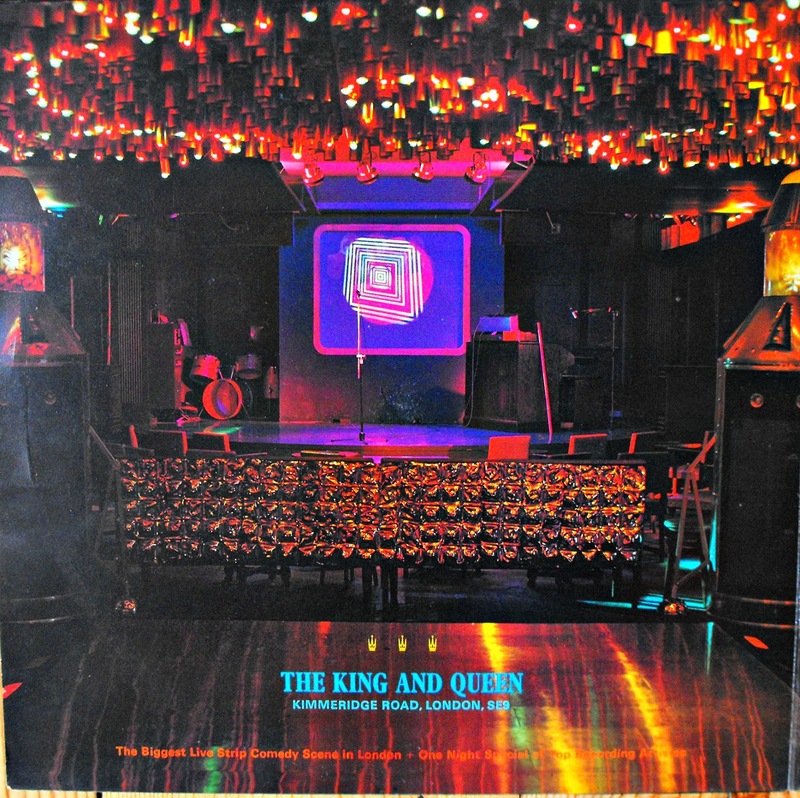 This album also has a gatefold sleeve, with the inside promoting the King and Queen, Kimmeridge Road, SE9 - described as the 'The Biggest Live Strip Comedy Scene in London' (the Montague Arms also featured strippers at this time). I think this pub/disco in Mottingham was run by the same people. Note the address is given on the back as Queens Road, Peckham on the back - the confusion about whether the pub is in Peckham or in New Cross continues to this day. I guess as it's on the border it can be said to be either. 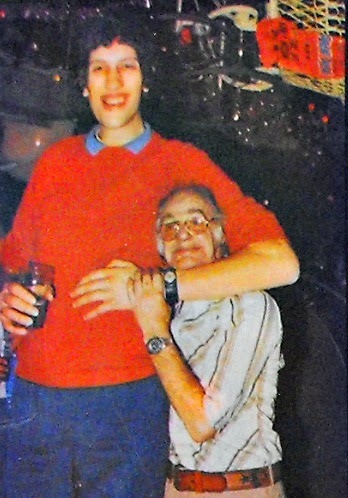 The picture in the top left of the cover shows, I believe, Bromley's Christopher Greener (1973-2015) - at the time Britain's tallest man - standing next to the pub's Stan Pownall. 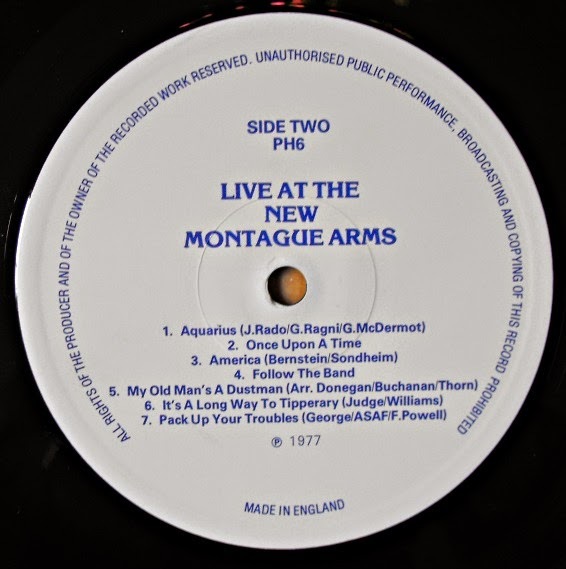 The duo continued to perform in the Montague Arms, as the Two Petes, into the 21st century. I saw them many times on Sunday lunchtimes - who can forget their version of Wonderwall! Are there any more albums?! 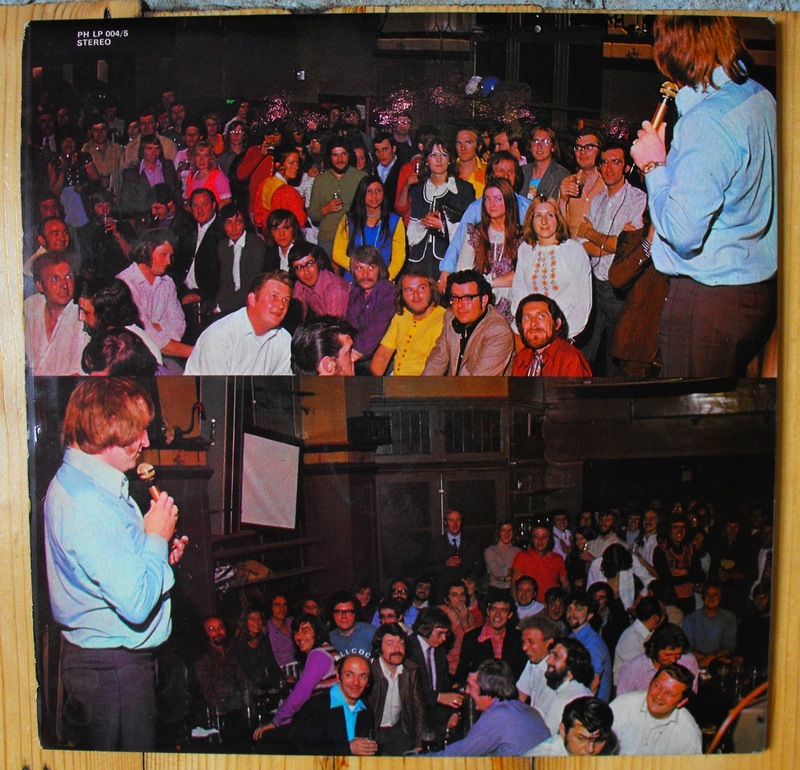 Jones mentions that all of the Rolling Stones with the exception of Mick Jagger came down to see him at the Mont, as did other other comedians including Mike Reid, Roy 'Chubby' Brown and one Cameron Davidson from Blackheath - soon to launch a successful career not uninfluenced by Jones' 'adult' comedy routines as Jim Davidson (he also performed at the Montague Arms). By Jones' account he fell out with Hoyle after he started getting success and offered gigs elsewhere. 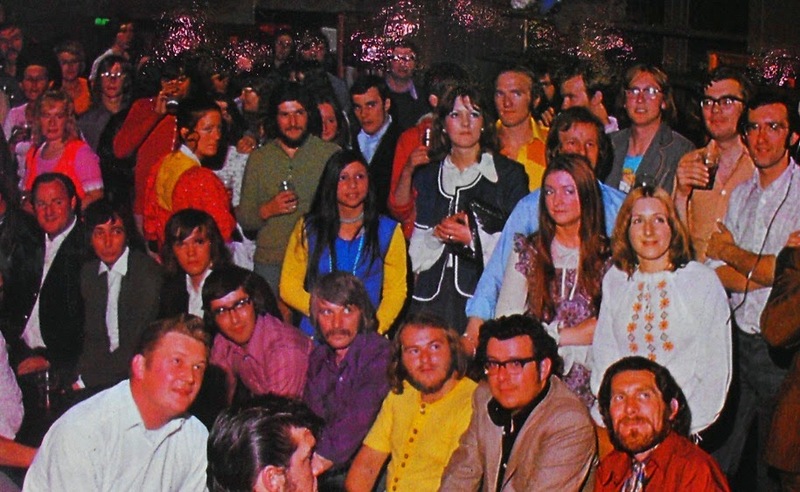 A dispute about royalties from the records led to a court case, with Jones claiming that 'No one was buying those records to listen to the drums and keyboards'. As is often the way it became 'a very nasty and expensive court case which - to be honest with you - neither of us won'. 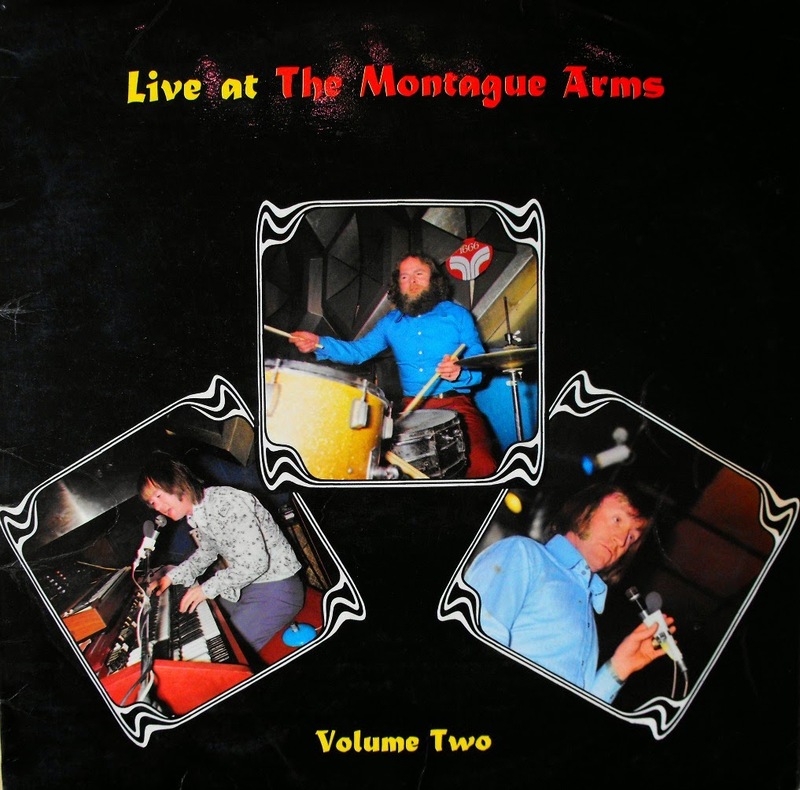 Jones also says that when Hoyle 'opened a second pub, the King & Queen at Mottingham' he [Jones] opened it for him with my dear friend Dave Lee Travis, the DJ, and an act who became very close mates of mine, a dwarf cabaret act known as the Mini Tones - Kenny Baker and Jack Purvis who went on to be in Star Wars as R2D2 and a Jawa'. 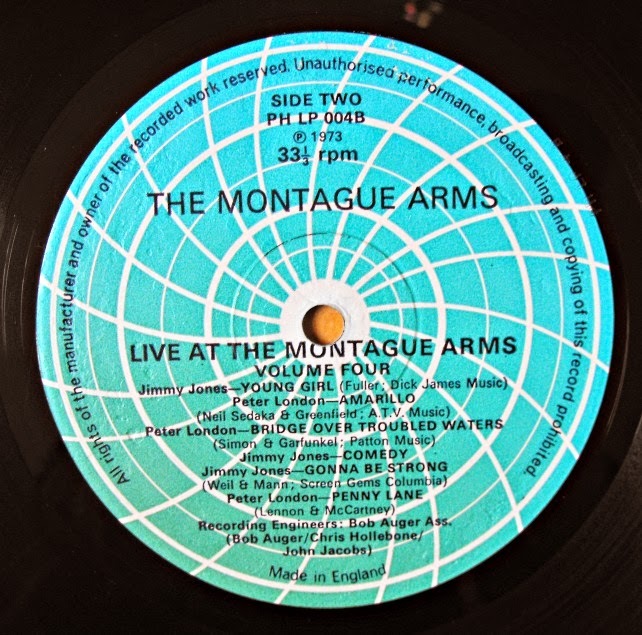 This may be old news to you, but some readers might be interested to hear that the Montague Arms was the venue for a jam featuring Nick Cave, Shane McGowan and Mark E Smith in 1989 - according to The Guardian. It was recorded, but never released.